to live as God wants you to be. May you have a wonderful Happy Birthday..
Blessings for the sweetest Girl I've ever known on her Birthday. 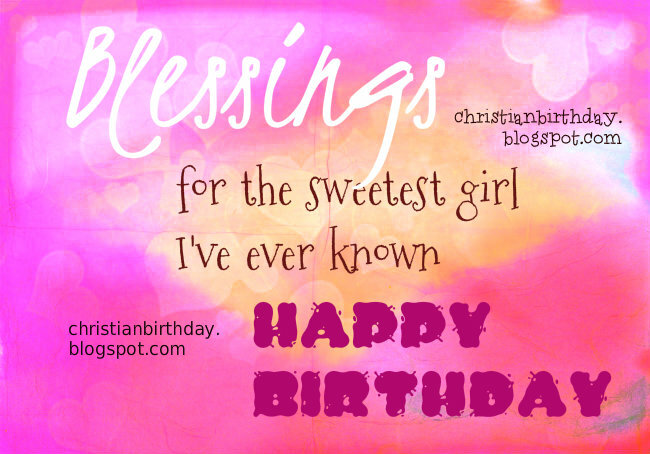 Free chrstian birthday image, free bday cards for girl, little girl, my princess, blessed teen, daughter on her special day. free christian wishes.